Cinnaholic is the original gourmet cinnamon roll bakery. With over 30 unique frosting flavors and a variety of fresh and decadent toppings, we’re not your typical cinnamon roll dessert shop. We’re looking for motivated, passionate and hardworking people who are excited to create our award-winning cinnamon rolls! 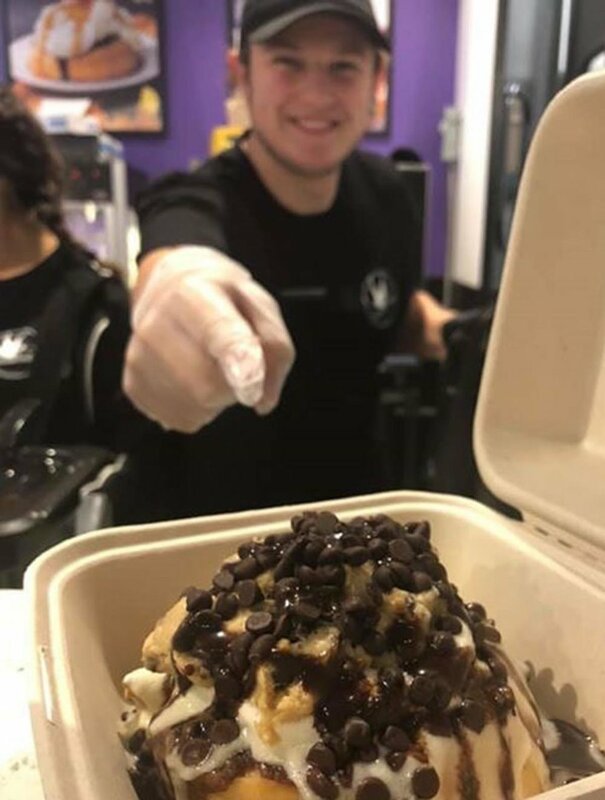 We offer competitive pay, and performance bonuses for individuals who exemplify Cinnaholic’s reputation for outstanding quality and superior customer service. Cinnaholic believes everyone deserves an amazing cinnamon roll to try. Our delicious, plant-based rolls work towards curing everyone's dessert cravings. We seek individuals with a positive and energetic personality. Successful candidates are confident in taking the reigns and implementing ideas. The Bakery Cashier/FOH Team Member is the face of Cinnaholic. This person greets and serves customers with a positive attitude, and in a polite, friendly and professional manner. You will operate a Square POS system and handle all sales transactions. In addition, our FOH Team Members prepares custom, made-to-order cinnamon rolls and other bakery items for customers. You must be comfortable operating a commercial oven, and follows specific quality control procedures. This person will maintain a clean store including mopping, sanitizing food prep area, routine dusting, general disinfecting, and washing dishes using three compartment sink. Must be customer-service driven, have reliable transportation, able to lift up to 50 lbs. and have excellent verbal communication skills, and basic math skills. The Baker/BOH Team Member ensures operational excellence of the bakery. This person prepares product, prioritizes daily bakery operations needs and follows proper labeling and storage procedures. You will operate a commercial mixer and baking equipment, and follow detailed baking procedures and precise recipes.Maintaining clean kitchen including mopping, sanitizing food prep area, routine dusting and general disinfecting is essential. The BOH Team Member washes dishes using three compartment sink, follows opening and closing checklists and will be cross-trained to also operate FOH. Must be 18 years or older, able to lift up to 50 lbs. and have reliable transportation. Labor law requires employees to be 18+ years old in order to operate some of our bakery equipment. Other positions may be available for individuals under 18 years of age. Please tell us about the last two positions held. Cinnaholic is a 100% vegan bakery. How much knowledge do you have in regards to the vegan lifestyle? Thank you for your interest in Cinnaholic! A member of our team will be in touch if your skills and background match our position.